Airnorth will link Darwin with Alice Springs via Katherine and Tennant Creek from October in what the airline describes as its new “Centre Run” service. 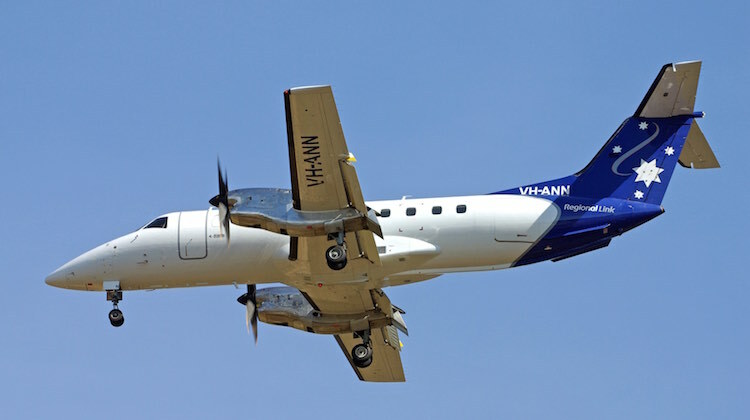 The regional carrier said it will operate 30-seat Embraer EMB-120 Brasilia aircraft on a Darwin-Katherine-Tennant Creek-Alice Springs routing three times a week. The return service to Darwin will also stop in Tennant Creek and Katherine. “Given population growth and increased business activity within the NT it is an ideal time to reintroduce the Centre Run services and we do so with a long term outlook of providing sustainable air services to Katherine, Tennant Creek and Alice Springs,” Airnorth chief executive Daniel Bowden said in a statement. The first flights of the new service, which will run on Mondays, Wednesdays and Fridays, take off on October 19, with TL250 due to depart Darwin at 0730 local time. Airnorth, which is a Qantas codeshare partner, said travellers would be able to earn Qantas frequent flyer points on the new service.